Last week I spent a fascinating day with the Compton Verney team and artist Sigrid Holmwood. Sigrid’s practice explores the idea of peasant painting. This term is usually applied to artists who portray peasants. During the nineteenth century many rural artists colonies were established throughout Europe, where artists would visit for extended periods of time, observing the locals and producing paintings. 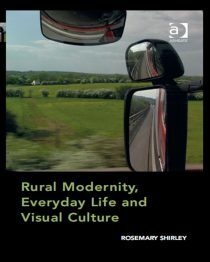 Most often creating a pleasant version of rural life that appealed to a middle class audience of city dwellers. The residents of the villages that became artists colonies were often dressed in more “authentic” seeming clothing, and portrayed carrying out the more romatic forms of agricultural labour such as hay making. (Nina Lubbren has written an excellent and much more nuance account of this practice). Sigrid’s work as a peasant painter significantly differs from this approach, turning the term on its head, Sigrid is interested in peasants who paint. Drawing on experiences as a historical re-enactor, and extensive research processes, Sigrid makes and wears dresses based on traditional peasant garb, and creates pigments sourced from plant material which she then employs in her own paintings. With foraging in mind, we walked the Capability Brown designed grounds of Compton Verney. After a while we realised we were paying most attention to the elements of this purposefully grand landscape that we were not intended to see, namely the weeds. Sigrid’s phenomenal knowledge of the properties of plants revealed an alternative botanical landscape. We looked for Ladies Bed Straw, the roots of which can be used to make red, oak galls for black ink and Rose Bay Willow Herb for yellow. We talked about the relationship between pigments, plants and colonialism. How the growth of capitalism and the slave trade can be traced through the use and production of dyes. Sigrid introduced me to the term Ballast plants. This is a phrase used in some countries to refer to plants that are perceived as being “non-native”. The historical root of this term is that on the return journey from America to Europe, ships having deposited their cargo of slaves, would often need to take on a ballast of earth from “foreign parts”. On returning home this cargo would be dumped on shore along with all the seeds and plant material it contained, introducing new species which reflected these gruesome nautical journeys. There are still regular out-cries today about so called “invasive species”, foreign plants which are displacing “native” species. Spanish bluebells for example, crowding out English bluebells. The hysterical rhetorics created around this subject are often played out in right wing newspapers which employ similar terminology when talking about human migration.